For weddings, parties, corporate events & much more. Available in a few colours, for all occasions & events. Can be used for multiple things. This latest Funky & Funny Trend Brings the life to your party or Event ! 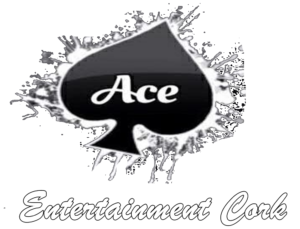 Welcome to Ace Entertainments Home Page. Catering for all your Party & Event Needs! Providing Professional DJ, Childrens Entertainer, Photo Booth, Flower Walls, Dance Floors, Candy Carts, Love Sign, Ferrero Rocher Hearts and King & Queen Thrones. If you are looking for something different, a little bit of bling or just a simple flower wall you have come to the right place. Ace Entertainment can help you! Add something simple but pretty to your decor, a sweet cart or a bit of entertainment. We are Based in Cork, Please note we do not travel. If your party is big or small, for adults or children, for corporate clients or a family celebrations, We have something for you. Our entertainment services are for all occasions and events such as Children parties, Christenings, Communions, Confirmations, Teen Events, Birthday Parties, Weddings, Family Fun Days, Corporate Events and much more!